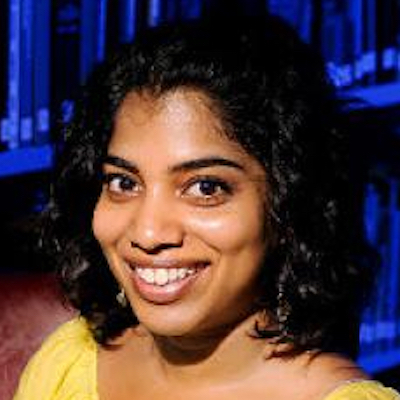 Madhu H. Kaza is a writer, translator, artist, and educator based in New York City. She is the coeditor of an issue of Aster(ix) Journal entitled What We Love and editor of Kitchen Table Translation, a volume that explores the connections between translation and migration. Her work has appeared or is forthcoming in Chimurenga, Gulf Coast, the New Inquiry, Waxwing, and more. She is a founding member of the No.1 Gold artist collective.